Located in Pike County, in southwestern Mississippi, McComb was founded in 1872 as a repair station for the Illinois Central Railroad. From its inception, McComb was segregated by railroad tracks and was the site of labor unrest, particularly conflicts over unionized African American labor. When workers from the Student Nonviolent Coordinating Committee (SNCC) arrived in 1961, McComb had approximately 13,000 residents (9,000 whites and 4,000 blacks) but no more than 250 black registered voters. Voter registration efforts, however, began long before SNCC workers arrived. As early as 1928, residents sought to register voters via the McComb Independent Lodge of the Benevolent Elks. Nathaniel and Napoleon Lewis, sons of one of the lodge’s founders, continued their father’s efforts by testifying at the 1946 Bilbo hearings in Jackson and creating the Pike County Voters’ League. Founded in 1944, McComb’s chapter of the National Association for the Advancement of Colored People (NAACP) became quite active in the 1950s. After the Supreme Court’s 1954 Brown v. Board of Education decision, chapter president C. C. Bryant and Webb Owens recruited new members, several of whom proved instrumental in McComb’s civil rights struggle. In 1957 representatives from the chapter went to Washington, D.C., to testify in favor of the Civil Rights Act. With the help of Medgar Evers, Bryant founded a youth group to protest police brutality and to study black literature. Bryant also owned a barbershop that functioned as a center of information for the black community. Increased white violence and intimidation caused the McComb NAACP chapter and its activities to become covert. With NAACP efforts somewhat thwarted, Bryant read in Jet magazine that SNCC’s Bob Moses was coming to Mississippi to organize voter registration efforts and asked him to come to McComb, which thus became the site of one of Mississippi’s first organized large-scale civil rights efforts. Indeed, SNCC workers used their experiences in McComb to organize communities across the entire southeastern United States. Bryant’s invitation caused Moses to scrap his original plan to begin work in Cleveland and go to McComb. After the 1961 Freedom Rides, Moses moved in with the Bryants and set up a SNCC office. Owens and another local NAACP officer, Jerry Gibson, helped Moses canvas neighborhoods, and Owens persuaded the local community to donate money for SNCC’s operation. Such local involvement proved integral to SNCC’s success, and Moses capitalized on the leadership in the community, relying on residents to support and protect him as he set up SNCC’s voter registration school. With backing from local NAACP leaders, SNCC workers encouraged residents to go to Magnolia, the county seat, to take the voting test. On 7 August 1961 the first voter registration class was held in the Masonic Temple, above the Burglund Supermarket, owned by Pete Lewis. About twenty-five people attended the first classes, but only four took the test, and the white registrar accepted only two. As part of another SNCC initiative, Charles Sherrod and Marion Barry conducted nonviolence workshops for high school students. Two of the first attendees, Hollis Watkins and Curtis Hayes, staged a sit-in at Woolworth’s in August 1961. After their arrest on charges of disturbing the peace, Hayes and Watkins, along with Emma Bell, Bobby Talbert, and Ike Lewis, became full-time SNCC workers. Several days after the Woolworth’s sit-in, more than two hundred black McComb residents attended a SNCC a mass meeting where Rev. James Bevel spoke on nonviolent direct action. The following day, several students, including fifteen-year-old Brenda Travis, sat in at the Greyhound bus station and were expelled from Burglund High, McComb’s public African American high school. A few weeks later, on 25 September, Herbert Lee of Amite County was shot and killed by a white state legislator, E. H. Hurst, near Liberty for helping register voters. Hurst was absolved on grounds of self-defense. Just a week after the murder, the Burglund students were released from jail, but principal Commodore Dewey Higgins refused to readmit them. On 4 October 1961 more than a hundred Burglund students marched to protest Lee’s murder and the expulsion of their classmates. SNCC workers joined the students, who congregated on the steps of McComb’s City Hall to pray. When the protesters refused to leave, they were arrested and charged with disturbing the peace; all those who were over age eighteen also faced charges of contributing to the delinquency of minors. The SNCC workers were beaten by police while FBI agents took notes, and Travis, who was on probation, received an indeterminate sentence in a juvenile detention center in Oakley. After the march to City Hall, Burglund High’s principal asked students to pledge not to participate in demonstrations and demanded that they return to school or be expelled. On 16 October 1961 more than one hundred students arrived at the school to turn in their books. SNCC workers then opened the Nonviolent High of Pike County, where the students took classes until the SNCC workers were tried, convicted, and jailed for several months. 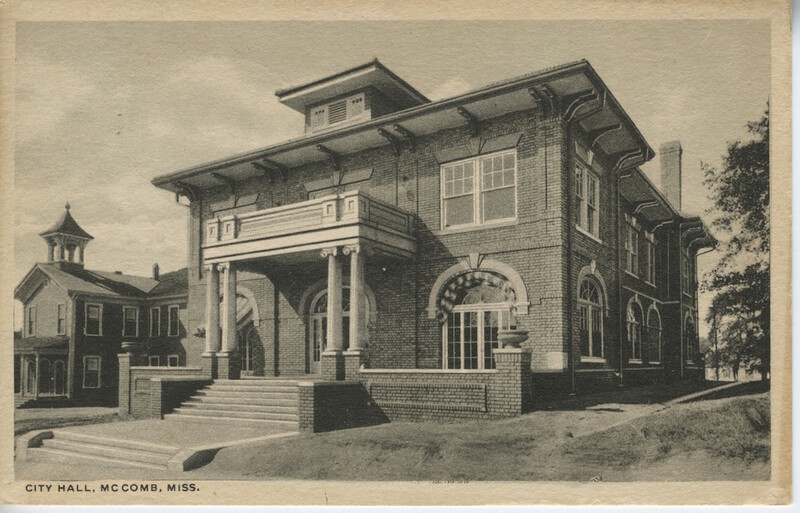 St. Paul United Methodist Church and the Masonic Temple housed the freedom school until the students began attending Campbell Junior College in Jackson. Despite pleas from the US Justice Department not to send any more workers to McComb because of dangerous levels of violence, SNCC returned to McComb in the fall of 1963 for a Freedom Vote campaign, and in 1964 the Council of Federated Organizations (COFO) selected McComb as one of its Freedom Summer sites. Movement workers often met in the Summit Street District, an area of African American businesses, at Holmes Pool Hall and Holmes Chicken Shack, and SNCC established a freedom house complex. McComb residents formed housing and food committees to support COFO workers and to buy a plot of land for the Martin Luther King Memorial Center, a community center that still operates today. White resistance intensified over the Freedom Summer. McComb’s mayor, Gordon Burt Jr., served as county chair for the Citizens’ Council, and police chief George Guy led a local branch of the Americans for the Preservation of the White Race. Numerous black homes and businesses were bombed, with targets chosen without regard for whether their owners supported the movement. The first Freedom Day occurred in mid-August 1964, just a week after the Klan burned crosses in front of the homes of two white movement supporters. Libby Price, a white woman who opened her home to movement activists and helped set up the freedom house, was threatened so often that she moved to Jackson, and Red and Malva Heffner, whose daughter was the reigning Miss Mississippi, were harassed to the point that they also left McComb. Quin, Matti Dillon, and Ora Bryant went to the White House to report to Pres. Lyndon Johnson about conditions in McComb and to request that he send federal troops. Putting McComb into the national media, they held a press conference and met with several members of Congress. In October the New York Times published an editorial describing the violence and stigmatizing the town. With his town in the national spotlight, Oliver Emmerich, the editor of the McComb Enterprise-Journal, finally broke white McComb’s silence, publishing an editorial on the negative effects of white terrorism, and he and several other white residents met with the Justice Department officials. The committee recommended that prominent white citizens sign a statement calling for law and order. When news of the statement circulated, the head of Mississippi’s highway patrol, T. B. Birdsong, met with Gov. Paul Johnson, Pike County district attorney Joseph Pigott, and all of the McComb and Pike County elected officials. After Johnson threatened to bring in the National Guard before federal troops could arrive, local officials promised to defuse the situation. In less than twenty-four hours the first Klansmen suspected of bombings were arrested, and within a week eleven men were in custody on charges of attempted arson and bombing. In late October, however, the charges were dropped, and the same day that the bombers were released, thirteen COFO workers were arrested on charges of operating a food-handling establishment without a permit. In addition, opponents of the movement vandalized the McComb Enterprise-Journal’s office and burned a cross in Emmerich’s front yard. On 18 November 1964 the Enterprise-Journal published the statement by McComb’s white residents and the state NAACP tested the new Civil Rights Act. With local and state police as well as FBI agents watching, Charles Evers led a group of twenty activists that included Bryant, Ernest Nobles, and several other black McComb residents that desegregated McComb’s Holiday Inn, Continental Motel, Palace Theater, Trailways Bus Station, and Woolworth’s lunch counter. While white residents and FBI agents thought the McComb movement would be over by the end of 1964, numerous SNCC workers stayed, and local people remained active. In 2006 McComb High School hosted “McComb Legacies: Reclaiming Our Past for a Brighter Future: A Civil Rights Summit Honoring C. C. Bryant.” Involving the William Winter Institute for Racial Reconciliation and members of the McComb community, the McComb Legacies program has gone on to provide “middle and high school youth with the opportunity to learn about, document, and share their local civil rights movement and labor history.” The project’s activities have included compiling oral histories of the movement, developing a civil rights driving tour, and creating a website.